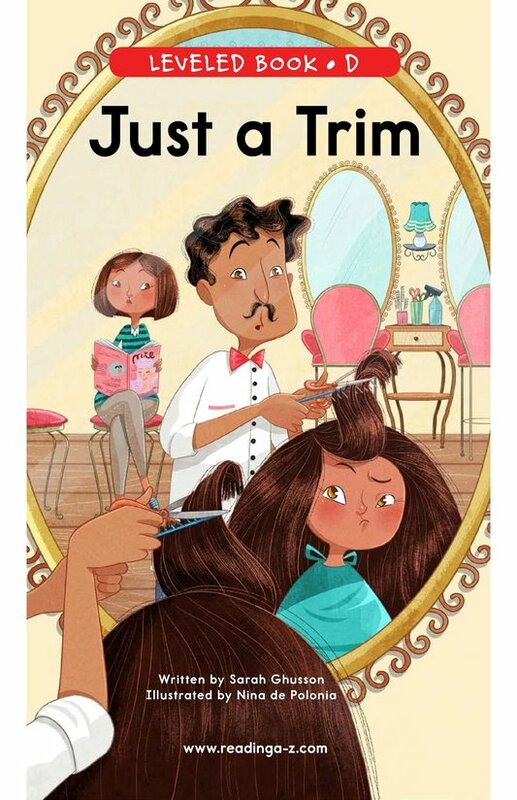 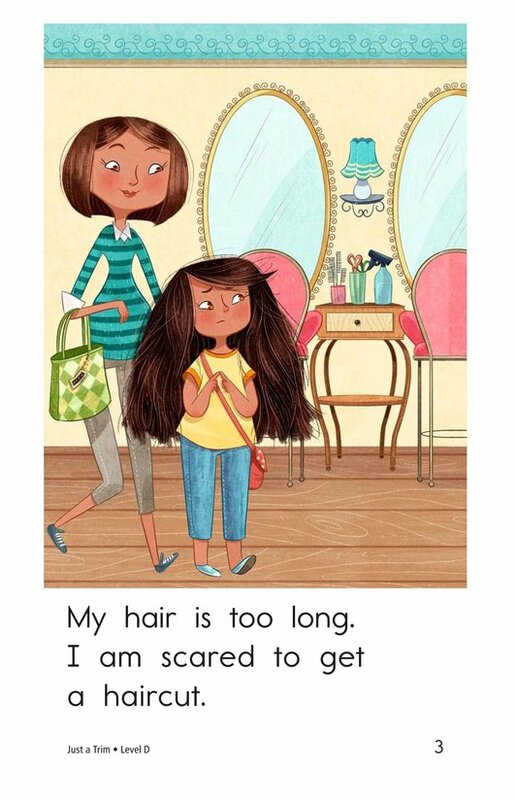 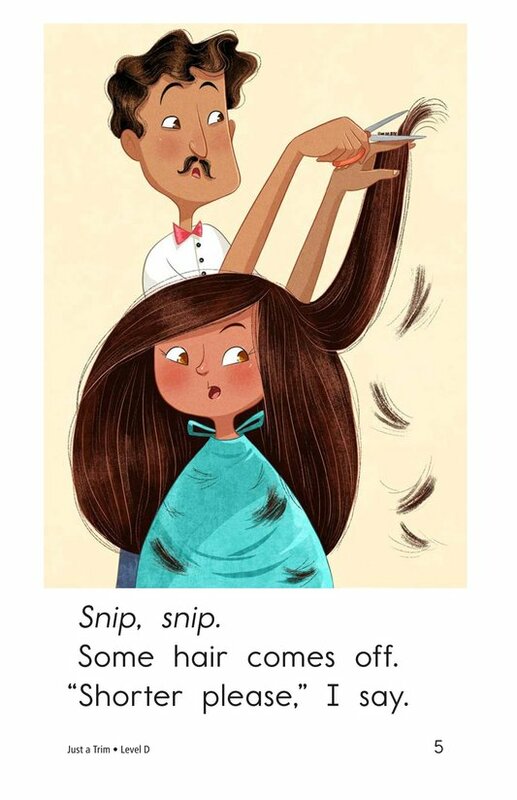 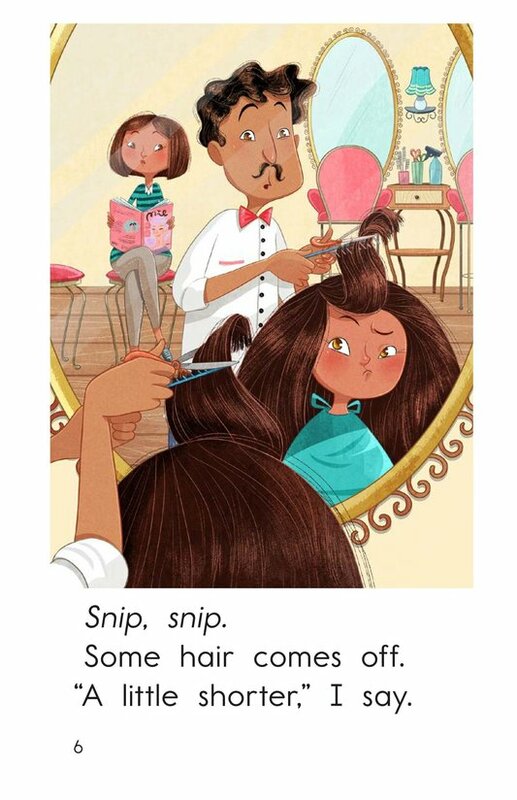 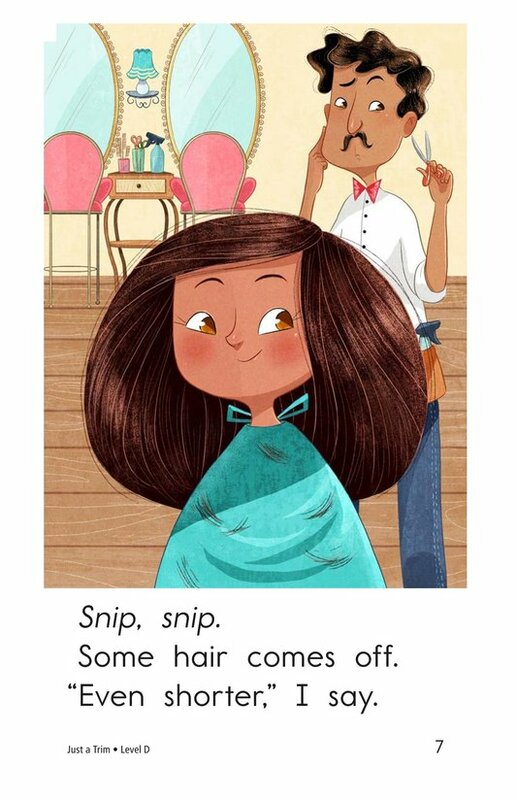 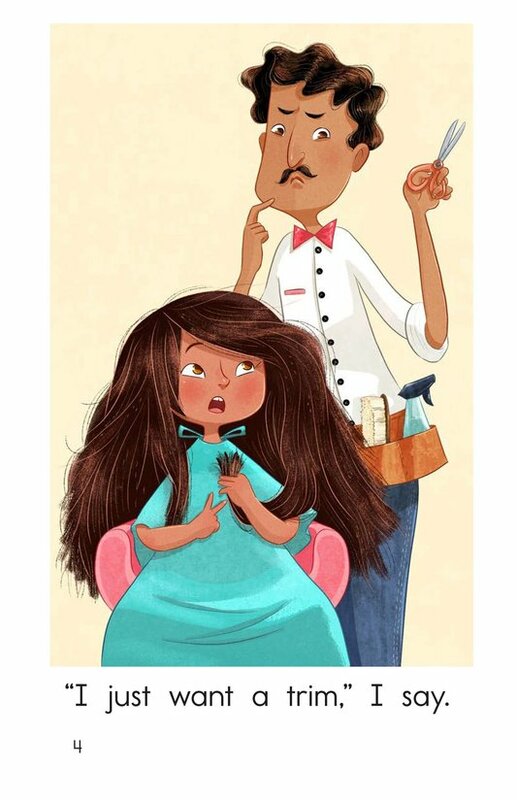 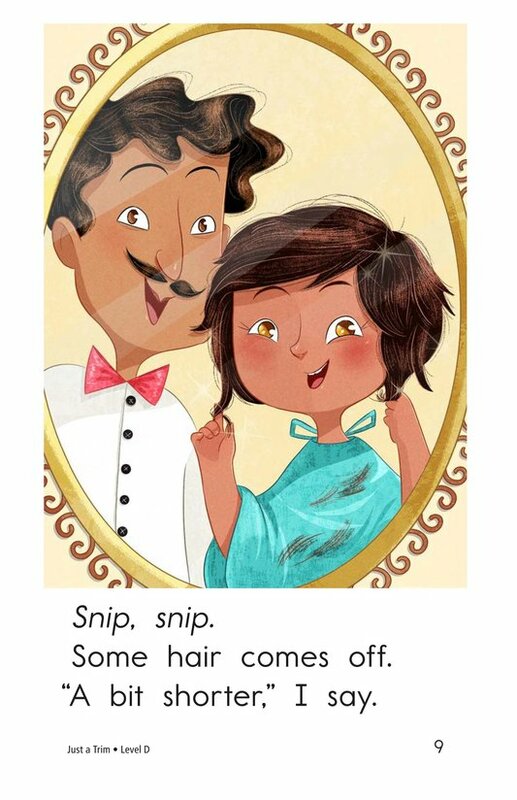 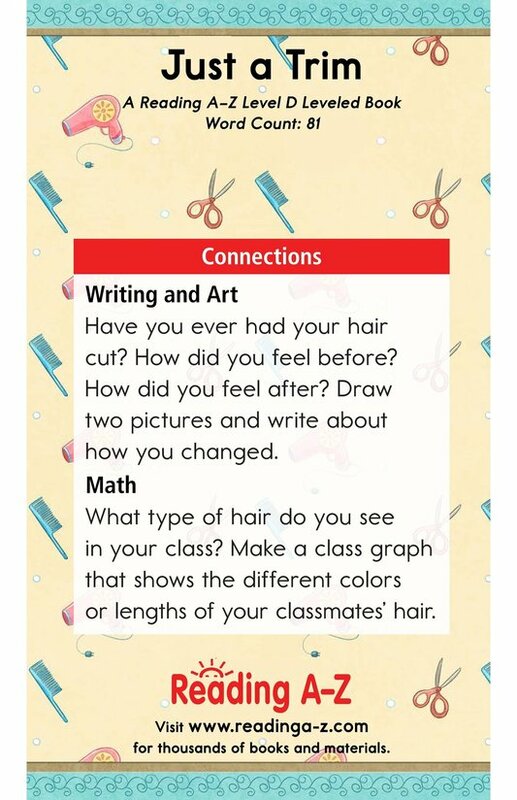 Every child can relate to the bit of anxiety brought on by getting a haircut! 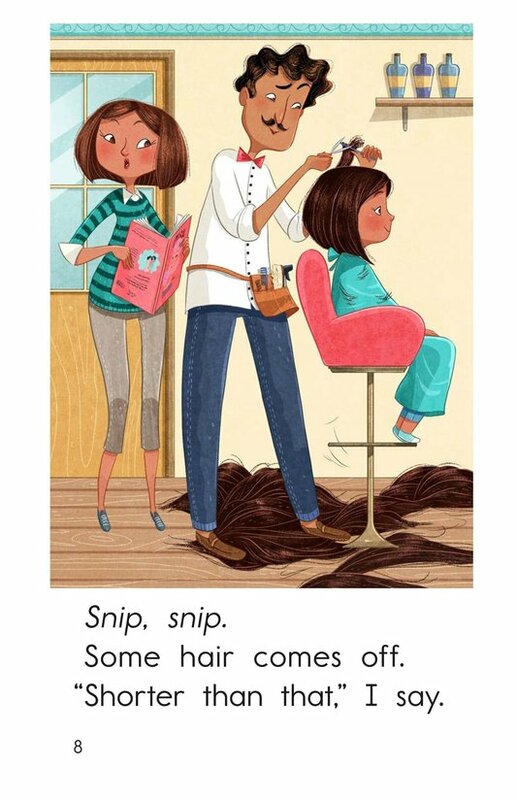 Just a Trim follows a girl as she goes from very long to very short hair, a little at a time. 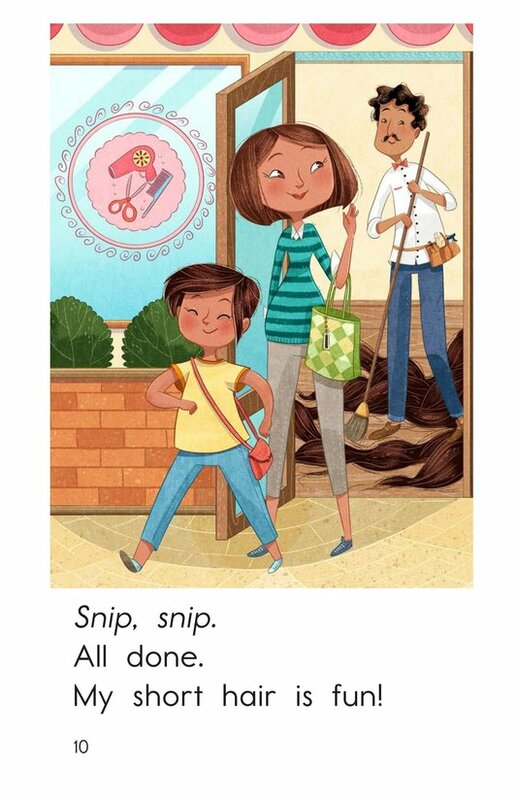 Colorful illustrations and a repetitive text structure support emergent readers. 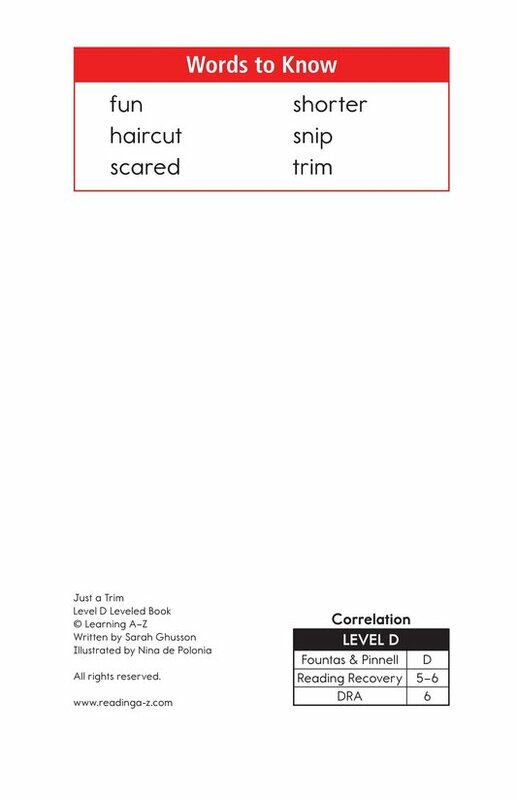 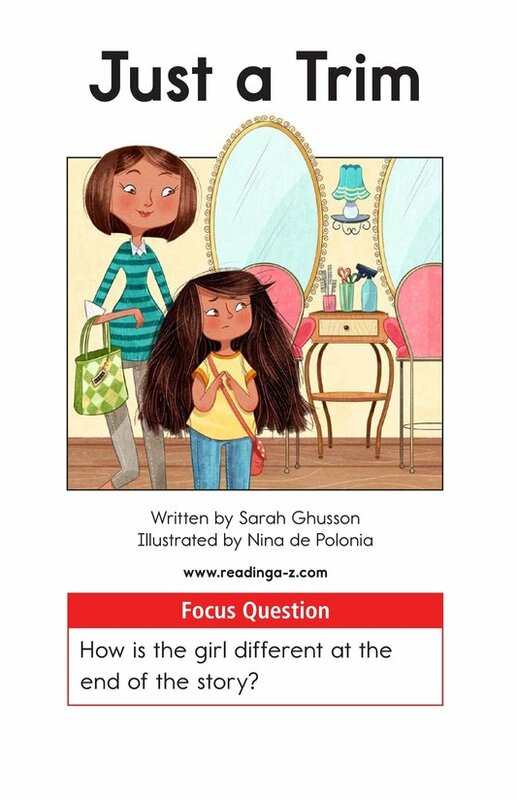 The book can also be used to teach students how to analyze characters and how to identify comparative adjectives.